Maamtrasna Murders and The Execution of An Innocent Man – commemorative event in Galway on Saturday December 15th. Myles Joyce who was unjustly executed for his alleged part in the ‘Maamtrasna murders’ 130 years ago will be recalled at a commemorative event in Galway next month. He was convicted in connection with the slaughter of a family in a remote valley on the Galway-Mayo border in 1882 and was hanged and buried at the then Galway Gaol on the site where Galway Cathedral now stands. A native Irish speaker from the Gaeltacht Myles Joyce, who had no English, was defended in court in Dublin by a solicitor and barristers who spoke no Irish. The evidence he gave in Irish was ignored in court while evidence which might have helped his defence was withheld and informers gave false evidence against him. The judge and jury who convicted him had no Irish and the jury deliberated for less than six minutes to decide on his guilt before sentence of death was passed. The commemorative event, details of which were announced to mark the 130th anniversary today of the ending of his trial and his sentencing to death in Dublin’s Green Street Court, is jointly organised by the Office of An Coimisinéir Teanga, GalwayCityMuseum and Conradh na Gaeilge. The Galway event is prompted by a campaign in the British Houses of Parliament led by Lord Alton and Lord Avebury to persuade the authorities to review the case of Myles Joyce, to declare him the victim of a miscarriage of justice and to concede that he was falsely convicted and executed. The commemoration on Saturday, 15th December next, the 130th anniversary of his hanging will include a mass in Irish in his memory in Galway Cathedral followed by the laying of wreaths on the spot where the gallows on which he was hanged stood and where his body lies buried under the tarmac in the cathedral car park. A symposium in GalwayCityMuseum will hear contributions from historian Professor Gearóid Ó Tuathaigh, Lord Alton from the British House of Lords – whose mother was a native Irish speaker from the Tuar Mhic Éadaigh Gaeltacht bordering Maamtrasna. There will also be a contribution from Johnny Joyce from Dublin, a descendant of the Joyce family whose murder in Maamtrasna led to the conviction of Myles Joyce. An exhibition, readings from historical material and an RTÉ film about the Maamtrasna murders will also feature. Further elements of the event are to be announced later. An Coimisinéir Teanga, Seán Ó Cuirreáin, said that Myles Joyce’s case was one of most significant and distressing cases ever concerning the denial of language rights. “At a time when the public’s language rights are confirmed in law, we shouldn’t forget cases such as that of Myles Joyce which remind us of the difficulty of getting justice under the law in the past if you didn’t have English.” He recalled that Myles Joyce was quoted as saying as he was led to the gallows: “Feicfidh mé Íosa Críost ar ball – crochadh eisean san éagóir freisin” [“I will soon see Jesus Christ – he too was hanged unjustly”]. Breandán Ó hEaghra from GalwayCityMuseum said that the museum was pleased to be involved in the commemorative event: “What happened to Myles Joyce is part of the history of the city, the county and the country. Like any museum, we have an important role to play in presenting that history to the current generation and conserving these memories for future generations” he said. Peadar Mac Fhlannchadha from Conradh na Gaeilge said that it was difficult now to imagine the injustice suffered by Myles Joyce and others who spent years in prison as a result of the Maamtrasna murders. “This Gaeltacht case led to a furious debate which raged for many years in the Westminster Parliament and it was one of the reasons that William Gladstone’s Liberal Government fell in 1885 when the Irish MPs under Charles Stewart Parnell withdrew its support and sided with the opposition Tories under the leadership of Randolph Churchill” he said. Of the eight who were convicted for the Maamtrasna murders, three were hanged but it is generally accepted that one of those, Myles Joyce, was innocent. Five others were sentenced to penal servitude for life and two of those died in prison. Four of those prisoners were also believed to be totally innocent. In 1902 the three surviving prisoners – two brothers and a nephew of Myles Joyce – were freed having spent 20 years in jail. However, official state records portray them all as convicted murderers. Further details of the commemoration will be announced in the coming weeks. 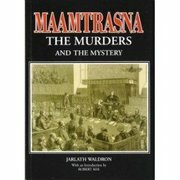 The tragic event which became known as the Maamtrasna Murders took place on the 17 August 1882. 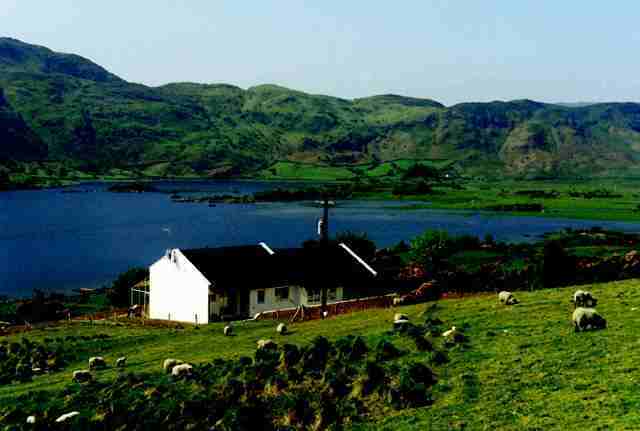 Maamtrasna is a Gaeltacht area located on the shores of Lough Mask on the border between Galway and Mayo. A family of five were slaughtered in their mountainside cottage: John Joyce, his [second] wife Bridget, his daughter, Peigí and his mother Margaret were murdered. His son, Michael, was badly wounded and died the following day as a result of his injuries. The youngest of the family, Patsy, was also injured but survived. The only other member of the family to survive the tragedy was a son Martin who was absent from the home as he was in service in Clonbur at the time. There is no consensus as to the motive for the slaughter and various theories have been suggested. The authorities claimed that John Joyce was treasurer of one of the local secret societies, Ribbonmen/Fenians which opposed the landlords at that time and they suggested the household was attacked because he was alleged to have misappropriated money belonging to the association. However, a more common theory was that John Joyce habitually stole his neighbours’ sheep from the hills and that this was the prime motive for the attack. Others suggested that his mother Margaret was the principal target because she had allegedly informed the authorities about the location in Lough Mask where the bodies of two missing employees of a landlord had been dumped. Still others believed that the murders related to the overly close friendship between the daughter of the house, the teenager Peigí, and a member of the RIC, a relationship which wouldn’t have been acceptable at that time. Ten men from the surrounding area were arrested and charged; Myles Joyce, his brothers Martin and Páidín agus his nephew, Tom from the townland of Ceapach na Creiche; Pat, Michael and John Casey from the same area; Pat Joyce from Seanbhaile Chathail; Tom Casey from Gleann Sál and Anthony Philbin from Ceapach Dubh. Although most of the men spoke only Irish, they were tried in Dublin before a judge and jury without a word of Irish. Two of the men allegedly from fear of execution or in expectation of reward became informers and gave evidence against their neighbours and friends. The first three who were tried, Pat Joyce, Pat (“Pádraig Shéamuis”) Casey and Myles Joyce were found guilty and sentenced to death. The other five decided, on the advice of their priest, Father Micheál Mac Aoidh from Clonbur, that they would plead guilty in order to avoid the hangman. They were sentenced to death but the queen’s deputy in Ireland, the Earl Spenser, commuted those sentences to penal servitude for life. It was reported that Queen Victoria herself wished all eight to be hanged. The three who were to be hanged were brought back to Galway Jail to the prison that then stood on the site of the Galway Cathedral now. Shortly before they were hanged two of them admitted separately that they themselves were in fact guilty but that Myles Joyce was innocent. This appeared to be insufficient for the Earl Spenser to postpone or revoke the execution and he confirmed in a telegram to the prison’s governor on the eve of the hanging that “The law must take its course”. The three men were hanged on the morning of the 15th December 1882 and their bodies were buried in the grounds of the prison, in what is now the Cathedral carpark. On his way to the scaffold that morning, it is reported that Myles Joyce said; “Feicfidh mé Íosa Críost ar ball beag – crochadh eisean san éagóir chomh maith. …Ara, tá mé ag imeacht…Go bhfóire Dia ar mo bhean agus a cúigear dílleachtaí.” [“I will see Jesus Christ in a short while – he too was unjustly hanged … I am going …God help my wife and her five orphans”]. History records that the hangman – William Marwood – efforts didn’t go according to plan, that Myles Joyce died from strangulation rather than hanging, and that his death was torturously slow and painful. Two years later, one of the informers who had given sworn evidence against Myles Joyce, presented himself before the Archbishop of Tuam, Dr. MacEvilly and the congregation during a confirmation ceremony in Tourmakeady church and confessed that the evidence he had given under oath had been false and that there was no basis to his contention to the court that Myles Joyce was involved with the murders. The British authorities refused the full inquiry into the case sought by the Archbishop of Tuam, and by journalists and politicians, including Charles Stewart Parnell. Further information about the case came to light in subsequent years. It appeared that evidence which could have helped prove the innocence of some of the men had been concealed from the court and from the defence lawyers. Allegations were made that the authorities tried in as far as possible to restrict the number of Catholics on the jury. It also appeared that evidence in Irish was ignored and that very little of it was translated into English in court. A policeman had been assigned the duty of interpreting the accuseds’ words to English. A full inquiry was refused although evidence accumulated that there had been a miscarriage of justice. It was widely accepted that one of those in prison was guilty of taking part in the murders (along with two of those that were hanged) but it was also believed that the other four prisoners were as innocent as Myles Joyce. It is also thought that three others who did take part in the murders, including the person who planned and directed them, were never charged. The Maamtrasna case was debated throughout the length and breadth of Ireland and discussed in the media in all of the English speaking world. There were long debates in the Houses of Parliament in Westminster – one of the debates lasted four days and some of the leading politicians of that era contributed. A refusal to hold a public inquiry was among the reasons that the Liberal Government of William Gladstone fell in 1885 when the Irish MP’s under the leadership of Charles Stewart Parnell defected and supported the opposition Tories under the leadership of Randolph Churchill. That coalition was dubbed “The Maamtrasna Alliance”. Two of the five men convicted of the crime died in prison and the other three, two brothers and a nephew of Myles Joyce, spent 20 years in custody for a crime they did not commit. Their wives appealed for their release to the queen’s deputy, Lord Dudley and his wife when the couple visited Connemara in 1902. When the men were at last released on 24th September 1902 they were put on a train from Dublin to Ballinrobe and they walked the final eighteen miles home to Ceapach na Creiche under the shadow of Maamtrasna, in the darkness and the rain. I’ve never been impressed by the advice that when an injury has been suffered we should simply “forgive and forget”. Surely it’s better to “forgive and remember”? If we simply forget the lessons of history, or try to erase those experiences from our identity, we will be condemned to make the same errors all over again. Our greatest challenge is to understand what has occurred, how and why it happened, and then, in our own generation, to set about the healing of history. It’s hardly surprising that, with an Irish-speaking mother from the West of Ireland, from an early age I was told the stories of the Irish famine and the stories of the struggle for Irish independence. Boycotts, evictions, and the Black and Tans were just some of the stories which I heard as a boy. I also heard the story of the Maamtrasna Murders. Brought back to Mayo since I was just two or three years old, I have vivid memories of the remote villages and homesteads around Lough Mask, where she grew up. In the parish of Tourmakeady everyone seemed to be related to my mother – or so it seemed to a young child; and I would be dutifully presented, inspected, and admired and always plied with hard boiled sweets or a penny for my pocket. This different universe also provoked endless questions in the mind of a young boy. Whose were the abandoned tumbledown cottages which pock marked the verdant countryside? What had happened to the people who had lived here? Why had they had to go to America or England? Who had lived in the “big house”, Moore Hall, burnt out in 1923 during the Civil War and whose ruins made such an extraordinary playground for young children? Endless questions. Many of the answers were ambiguous or circumspect and, anyway, this was an Irish speaking area so it wasn’t difficult to prevent a little boy from eavesdropping; and, after all, this was a community which little more than thirty years before had fought its way to independence from the Crown. So memories were new and experiences were raw. I am proud of my mixed origins and have an Irish passport as well as my British one – and so do my four children. This year, as we climbed Croagh Patrick together I reminded them that knowing who you are, and never forgetting the rock from which you are hewn, is essential in life: you don’t hate one country because you love another. My children were born in Liverpool and I was born in London. Like so many in the UK holding Irish antecedents alongside British origins provides plenty of creative tension. In my case, I would go on to be Member of Parliament for a Liverpool constituency – and having served for more than 30 years in both Houses of Parliament – I would always yearn for the day when British-Irish history might be healed and where both nations would be able to live peaceably with one another. I had already seen examples of sectarian hatred and bigotry as a young City Councillor in Liverpool and the visceral hatred which could lead to murderous deeds was rapidly brought home to me as I entered Parliament. On the day after my election, in 1979, the Conservative Northern Ireland Spokesman, Airey Neave MP was blown up in the precincts of the House. Both my maiden speeches in the Commons and the Lords reflected on the continuing tragedy of Ulster and some of the lessons that could be learnt from Liverpool’s experiences in overcoming sectarianism. Like most people with British and Irish antecedents my greatest desire has always been to seek a peaceful way forward; but never ending acts of retaliatory violence often seemed to make that a remote possibility. For many years I held Front Bench responsibilities for Irish Affairs and have been a frequent visitor to the North. I applauded John Major and then Tony Blair as they sought to resurrect talks on power sharing – but achieving it seemed light years away. Senator George Mitchell, who played such a key role in mediating the Good Friday Agreement, told me that when he first arrived in Northern Ireland the Revd. Ian Paisley told him he suspected that Mitchell would show bias because of his Catholic faith. Mitchell refuted this but in an amusing counter-point Ian Paisley pointed out that he was hardly reassured on discovering that the Senator’s chief of staff was a lady whose name was Pope! Happily, it emerged on inquiry that she was a Methodist! I doubt that even the ever-patient and assiduous George Mitchell would have anticipated the day when Ian Paisley and Martin McGuinness would become First and Deputy Minister of Northern Ireland. The political progress became possible because political leaders in Britain had at last been willing to understand the unhealed nature of the history of Ireland. Others did not see it that way. Malthus, in a widely quoted comment to Ricardo, had urged a policy of non-intervention in Ireland as a way to encourage the depopulation of Ireland: “…the land of Ireland is infinitely more peopled than in England; and to give full effect to the natural resources of the country, a great part of the population should be swept from the soil.” The policy then pursued by the British Government during the Famine gave them the opportunity to put this policy into practice and eight million people were reduced to four million -three million emigrating and one million died. These same attitudes continued into the twentieth century, with Beatrice and Sydney Webb publishing a Fabian tract warning that “children are being born freely to Irish Roman Catholics and the Polish, Russian and German Jews, the thriftless and irresponsible…This can hardly result in anything but national deterioration…or this country falling to the Irish and the Jews.” (Tract 131, 1907), and racist and eugenic ideas were openly promoted in England. As a Liverpool MP I was conscious that thousands of those who had fled the famine had died in Liverpool, whose port was “the Gateway to America.” 1.3 million Irish people came through Liverpool. 3,000 people were crammed into the workhouse, which stood on the site of today’s Cathedral of Christ the King. There were 20,000 street children in the city. In 1998 I was one of those involved in creating the first famine memorial in Liverpool, unveiled by President Mary McAleese. If Britain had chosen to erase these events from its collective memory, Ireland had not; and it was only a willingness to re-examine these shocking episodes and policies that has allowed both nations to then move on – progress expressed in the Good Friday Agreement and the historic visit of Queen Elizabeth II to Ireland in 2011. Over this past thirty years a great deal of history has been healed and some history has been made. I hope that in this same spirit political leader and historians will collaborate in rectifying what, for me, remains one of the greatest individual miscarriages of justice and which involves the memory of families from this part of Mayo. On August 18th 1882, the Maamtrasna Murders led to the shocking deaths of five members of the Joyce family. These murders would be the subject of a major debate in the House of Commons in which Prime Minister Gladstone personally intervened and the ensuing trial and sentences would provoke outrage and indignation. More than a century later the case was carefully re-opened and documented by a Mayo priest, Fr.Jarlath Waldron. He records the deeply distressing story of a man hanged for a crime he did not commit. The tragedy had unfolded when John Collins, a neighbour and tenant farmer, arrived at the home of John Joyce on an errand to borrow two wool cards. He found the door pulled away and John Joyce lying dead on the floor, naked. Returning to the house with other villagers they quickly discovered three more bodies – Joyce’s aged mother-in-law, Margaret, his wife Bridget, whose skull had been crushed, and the corpse of his daughter, Peggy. Two boys were seriously wounded – Michael, aged seventeen, had been shot in the stomach and head and later died. Patsy, aged ten, would survive. By the end of Fr.Waldron’s “Maamtrasna – the Murders and the Mystery” there is still a great deal of Irish mist covering both the motives and the identity of the perpetrators of these horrific crimes. What does become exceedingly clear, however, is that Myles Joyce, one of the three men who was subsequently executed, had no hand in the murders and that what passed for a trial was a travesty of justice. The Crown paid accusers the accusers £1,250 in blood money, a substantial sum in those straitened times, for perjured depositions and tainted evidence. Lord Spencer, the Lord Lieutenant, an ancestor of Princess Diana, said the payments were for “courageous and praiseworthy conduct in te pursuit and prosecution of the murderers”. Later recantations were never properly considered; other declarations were never placed before the jury; the proceedings were conducted in English while the accused were Irish speakers; and verdicts were allowed to stand which would lead to penal servitude and executions. The prosecution case was a farrago of deceits and the defence was lamentable – simply going through the motions. Myles Joyce never had a chance. But it was all to no avail. No mercy was shown and no justice done. The story certainly did not die with the death of Myles Joyce. Two years later, in August 1884 Dr.John Mac Evilly, the Archbishop of Tuam, arrived in Tourmakeady to administer the Sacrament of Confirmation. Tom Casey – one of those whose evidence had taken Myles Joyce to the gallows, entered the church, and, holding a lighted candle, walked to the altar, and dramatically declared before the Dr.MacEvilly and the gathered congregation that he had brought about the death of the innocent Myles Joyce and the imprisonment of four other innocent men. Archbishop Mac Evilly wrote to Lord Spencer “in the interests of justice and civil society…and respect and confidence in the administration of law, to lay the whole case before your Excellency as it came before me.” He called for a full public inquiry. In a deliberate slight, Spencer delegated an official to reply to Dr.Mac Evilly and insisted that no inquiry was required. In a tough response, the Archbishop reminded the Viceroy that “It is hardly conceivable how, in the very jaws of death, (Myles Joyce) would allow himself to be launched into eternity with a lie on his lips.” An even lower grade civil servant sent a six line reply again stating that the cased would not be reopened. Politicians were by now also becoming involved. Tim Harrington, the Westmeath MP, promised to raise the case in the House of Commons. In 1882, during his protests against tenant evictions, Harrington had himself been incarcerated with some of the Maamtrasna prisoners and now led a vigorous and tenacious campaign to uncover the truth. Harrington travelled to Maamtrasna and painstakingly amassed statements, checked discrepancies and conflicting evidence. He issued a formal challenge to Spencer: “Officials who would acquit themselves of the blood of the innocent will need to vindicate themselves.” Later he documented the case in a booklet. Arthur O’Connor MP was the first to speak for the amendment proposing a public inquiry and said that although “It is impossible to bring back the soul of Myles Joyce; but if any respect for the law is to exist in Ireland, …legalized murder should no longer be allowed to stalk with impunity throughout the Island.” Many Irish MPs intervened, including Charles Stewart Parnell, and Harrington was given unexpected and strong support by the Conservative MP, Randolph Churchill. The debate brought the Prime Minister, Mr. Gladstone, to the Chamber, where he defended Lord Spencer, Irish officials, and the process of law. When recently talking about the case we pointed to the parallels with twentieth century miscarriages of justice – the Birmingham Six, the Guildford Four – and the implications for the use of capital punishment. And we were also both agreed that even with this passage of time, the injustice committed should not be allowed to stand. The 2012 unveiling of a plaque in Galway to commemorate these events underlines my proposition that it is good to forgive but bad to forget. The true healing of British-Irish relations requires that, wherever possible, ghosts should be laid peacefully to rest and wrongs righted; and I for one am glad to see a new generation becoming interested in the story of Maamtrasna and the wrongful conviction of Myles Joyce. It is not possible to give this innocent man back his life but it is possible to put right an old wrong and, in so doing, to heal another chapter of a book with too many chapters of unhealed and painful history. A Government Minister today refused a request from two Peers to grant a posthumous pardon to an Irishman whom they claim was wrongfully executed during the period of British rule. Lord Avebury (LD) and Lord Alton (Crossbencher) had asked Justice Department Minister, Crispin Blunt MP, to request a retired Law Lord to review the circumstances in which Myles Joyce was executed at Galway in 1882. They said that “corrupt witness statements led to a perversion of justice and the wrongful execution of a wholly innocent man.” During their meeting, held at Westminster, the Minister conceded that “Joyce probably was an innocent man.” However, he added that unless there were compelling new reasons or sufficient public interest he would not seek a posthumous pardon. At the time of Joyce’s execution one of the two others facing the hangman protested Joyce’s innocence, as Joyce consistently did himself. Joyce’s wife, Bridgid, pleaded for his life, along with the then Archbishop of Tuam, Dr.MacEvilly. The informer, Tom Casey, who was blackmailed into denouncing Joyce by the threat that he would be charged with murder if he refused, and whose evidence led to Joyce’s conviction, subsequently swore before the Archbishop and a congregation that he had lied in naming Joyce.